A memoir titled Rickles' Book was released on May 8, 2007 by Simon & Schuster. Mr. Warmth: The Don Rickles Project, a documentary about Rickles directed by John Landis, made its debut on HBO on December 2, 2007. 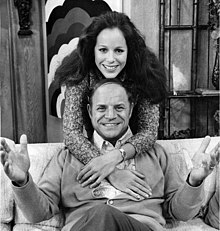 Rickles won a Primetime Emmy Award for Outstanding Individual Performance in a Variety or Music Program, besting a number of notable comics, including David Letterman, Jon Stewart, and Stephen Colbert. 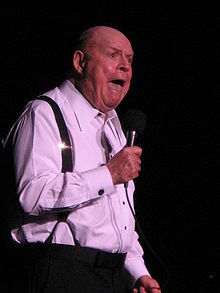 Rickles remarked, "Stephen Colbert's a funny man, but he's too young. He has got plenty of time to win awards, but this may be my last year and I think that I made it count. On second thought it was probably just a mercy award for an old man." Rickles reprised his role of Mr. Potato Head for the Toy Story Midway Mania! attraction at Disney California Adventure Park, Disney's Hollywood Studios and the 2010 film Toy Story 3. He was reported to reprise his role for Toy Story 4 but died before recording any dialogue. Josh Cooley said they will unused archive recordings of Rickles for the film to honor him.